First day on the island may you like to stay in your room or studio in skopelos town or in a countryside villa or a studio close to beach. Boat usually arrives in Skopelos after 14.00 hours. Second day. Its a good idea to explore the village Glossa and Elios. In Glossa may you like to taste some traditional sweets and visit the local museum. 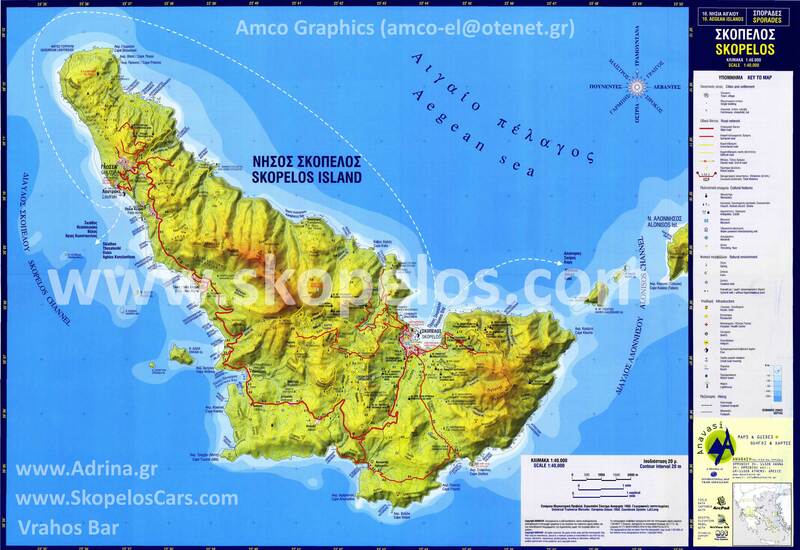 Then you can go to swimm at Elios beach or Milia beach even in Kastani where Mamamia movie was filmed. Third day. Now is the time to climb up to mountain to visit the monasteries in Skopelos. Then Stafilos beach or Panormos is awaiting for you! Fourth day. Explore the town of Skopelos climb up to the castle, find some ancient churches there. Then visit Folklore Museum and Vakratsa' s Mansion. Have some lunch in a taverna and may the afternoon have some time to swimm. Sixth day. I think you need some rest today. Just a coffee in a cafe in Skopelos or an ice cream. In the night shoping for gifts and a drink ...may be soft. Seventh day. Departure from Skopelos to Skiathos airport or to Volos. Wish to arrive safe at home! First day on the island may you like to stay in your room or studio in skopelos town or in a ountryside villa or a studio close to beach. Second day. With a car or a motorbike drive to Glossa, and in the crossroad before village turn on your right to arrive Kastri beach. There is a rock with a little church up there. You know that from the movie Mamamia! Nice and clean waters to swimm. Third day. Spend the morning time to Kastani beach. Have some lunch in Panormos beach and may you like to swimm again. But 3 hours after lunch! Forth day. Limnonari is a nice beach close to Agnontas port. Is a sand beach. Its perfect place not to far from your acomodation! Fifth day. Today it is better to drive to Elios village. Then ask some inhabitants about Hovolo beach! Just remember my name when you go there! Sixth day. Its impossible to have Skopelos holidays and no swimming to Stafilos beach! When you arrive there make an effort on foot to Velanio beach 3 more minutes. A fantastc place! Volos. Wish to arrive safe at home!